IDENTA LC Nano-reinforced Self-etch One-component Bond is a single-component, light-curing, self-etch bonding agent reinforced with nano-particles used to create a durable bond without marginal gaps between the hard substance and light-curing filling materials. 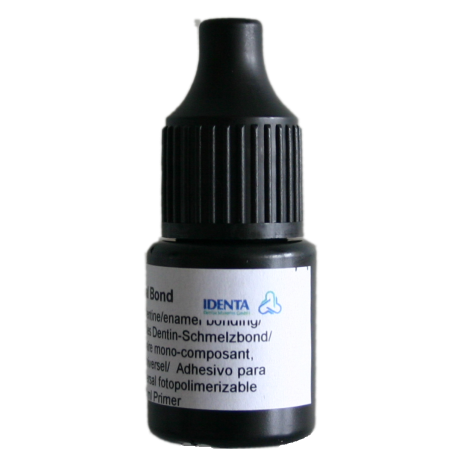 IDENTA LC Nano-reinforced Self-etch One-component Bond displays the same adhesive properties as total-etch preparations without separate etching of the tooth substance. 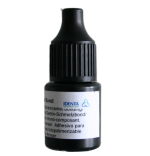 IDENTA LC Nano-reinforced Self-etch One-component Bond tolerates residual moisture. IDENTA LC Nano-reinforced Self-etch One-component Bond is an all-purpose adhesive for use with all light-curing composites, compomers and Ormocer®s.